Miss Priss Morgan: I am a victim! ** UPDATE: COMMENTS ARE WORKING! Just click the individual post title, you can't leave them on the main page. I loved these Identity Theft commercials when they first came out. So clever, so entertaining, SO NOT FUNNY IN REAL LIFE. Yesterday, I went to get some gas, and my debit card was declined. What? "This has never happened before," I thought, "And I just deposited a check in my account on Monday, where did it go?" I grabbed my phone, and pulled up my bank statement. There were about 15 charges in Provo, UT this past weekend! There wasn't anything major, but lots of little charges, I think the largest one was only $20.00. Nevertheless, my account had been nearly cleaned out! I hurried home and called the bank, cancelled my card, and (because the damage was less than $1000.00) was able to get my money back. Because the bank has records that I am the only name on the account, and I have the one and only debit card to the account they knew that it wasn't possible for me to buy groceries in Las Vegas one minute, and pool equipment in Provo two minutes later. Whoever used my card ran it as a credit card (not a debit which requires a pin number) and the lovely store clerks didn't ask for identification. Awesome. Today I was notified that "I" had earned a substantial amount of money over the last 15 months in Texas, working at a construction company, and would have to pay taxes on those earnings... What!?!?! Yes, someone in Texas is employed under my social security number, and they are not paying their taxes! I immediately called the Social Security office to get this resolved and figure out what I need to do, but they were closed. Seriously, how does this happen? I am so careful with my personal information, and I have a membership to FreeCreditReport.com. I've put alerts on all of my credit reports and pulled one of them. Luckily my credit hasn't been completely damaged by all of this. If you don't keep up with your credit reports, you are entitled to 3 free reports every year- one from each of the three reporting agencies. I recommend pulling them, it doesn't affect your credit score, and it's important to know who is accessing your information. You can pull them all at once, or pull one every 4 months. Either way, it's important to view all three, because information, including your credit score, can be different on each report. oh no that is so scary! I am so sorry this happened to you! Good thing you got stuff figured out! I am SO sorry about the identity theft! How awful. I know what you mean about being careful and this is scary! Hope everything works out alright for you!!! I love comments, so tell me what you think! 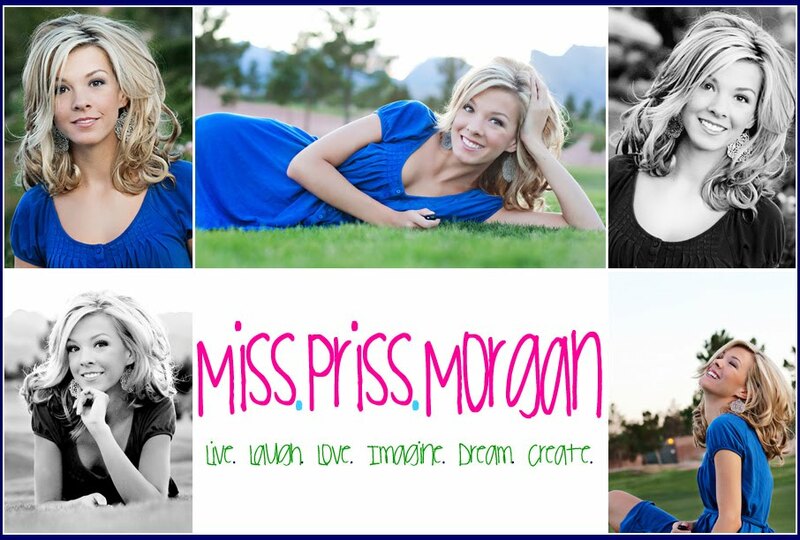 All photos and writings on this website are original thoughts and comments of MissPrissMorgan.blogspot.com. Please don't steal them unless linking &/or giving credit to my blog, it is illegal, and mean. Thank you.